For me there is something special about travel, when I am outside of everyday routines, and the beauty of the moment is heightened. The world seems more vivid, more intensely full of colour and newness than it does most days at home. Shooting Strange Brew in Iceland really was a crazy dream come true for me. Out in this unbelievable landscape, John puts on a sweater that I designed and I wonder, how did I get here and could life really get any better than this? But as my hands go numb and a kid starts crying as I attempt to frame the shot, I come back down to earth! Great to be here with you babe! Lots of caffiene was required! I didn’t know what to expect when Alexa and I set this plan in motion. When we arrived packing duffels full of sweaters and wool, Iceland did not fail to impress. There were horses! There were glaciers! Lopi was sold in the grocery stores! We watched icebergs that had calved off the foot of a glacier make their way slowly past us toward the ocean. We climbed a volcanic cone, one toddler step at a time. We put on a LOT of woollies… and then layered some more on top, before heading out to wander along abandoned beaches. It was COLD COLD COLD. Days before we flew, it occurred to me that it was a little risky to take our two families on holiday together, share space, and mash up work and play for an intense two weeks. Luckily the kids played together with only periodic drama. The epic landscapes left them, well, let’s say underwhelmed! For the most part they just wanted to chase each other around and throw stones into the water. Alexa and I, however, soaked up every mile of the journey and were happy to come through it with both our business partnership and our marriages intact, plus thousands of delicious photos to sort through. Gary and John have been our biggest cheerleaders over the last decade, watching our business grow from an improbable idea into a full-time career, and they are still enthusiastic about what the next big knit thing might be. Thanks for cooking, cleaning, wrangling, driving while we knit madly, and for pulling out your most charming amateur-knitwear-model poses while we shouted instructions over the biting wind. Packing & unpacking a group of 9 (5 kids) every second day is not the most relaxing of vacation itineraries, and that’s putting it mildly! Will we do it again? Alexa and I are always dreaming and scheming about where our next photo-shoot might take us, so the short answer is YES! I am sure the mystique of Iceland will draw me back to visit again… one day soon I hope to do a knitting & hiking tour with Hélène Magnússon. 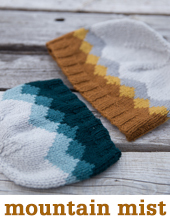 Over coming weeks we are launching an in-depth tutorial series on the Strange Brew colourwork yoke recipe pattern, and colourwork in general. 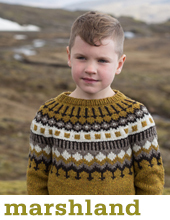 And we’re hosting a KAL too – join in on the Ravelry group. Stay tuned for more colourful stories! Great pictures. Always nice to see kids traveling at such a young age, and being exposed to different places and cultures. We and my family were there also in sept/oct. Cheers and happy travels! Sweaters are really good, but i am not able to guess do you sell the sweaters or not ? What a wonderful adventure! Thank you for sharing these photos with us. Wow, what an incredible family (and knitting!) adventure!! I love this new collection, it’s fantastic. So happy for you guys! You have the BEST lives! 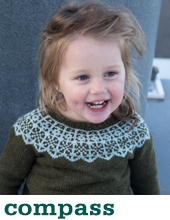 Thanks for sharing with us, your faithful readers and knitters! It is so wonderful that you had such A lovely time!